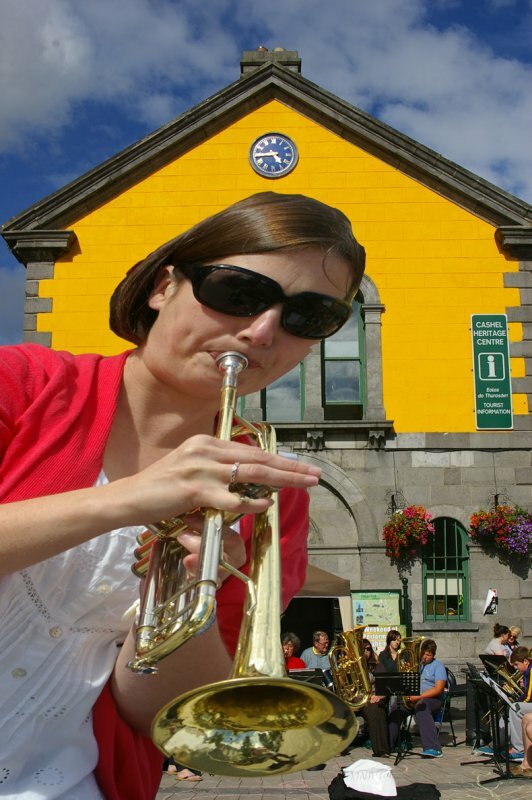 Brass band playing on the Plaza in Cashel , Ireland. The Trumpet player was in the band you can see behind her. I isolated a background from a close up of her and put her on the front layer of this scene.